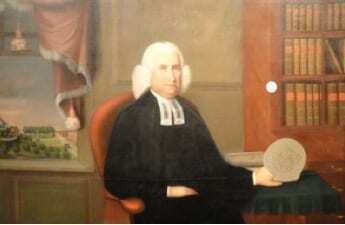 When I, Eleazar Wheelock, founded Dartmouth College 250 years ago, I did so with a Bible, a drum, five hundred gallons of New England rum, and the purpose to tame the natives and create and educate men. While many, many things have changed these 250 years later, the one thing that helps me rest easy is knowing that the students of Dartmouth still adhere to and value tradition, molding true men while partaking in the mass consumption of alcohol. This practice was greatly aided by the advent of the now sacred game of pong, the one thing that saddens me to have missed during my tenure at this College. But it comforts me to know that on weekend nights, or really any night, the students of Dartmouth can descend into one of the thirteen holy chambers, diligently wait their turn in line, and commence one of hundreds of games of pong that will be enacted that night with the possibility of holding table, leaving victorious, and sleeping soundly, knowing that their night’s work has helped uphold the true values of Dartmouth. I allow and encourage them to play pong to their heart’s content. But not you. No, you are a freshman woman. If you dare walk into one of these temple-like establishments and have the audacity to ask for line, believe me when I say that I will do everything in my power to stop this. With luck you will get on table and play with one of the good brothers of that fraternal organization, and only through your luck continuing, you may stay on table. But think again if you solely want to play pong – pong is not for you. As you fill up your seven or eleven chalices with that golden liquid for the subsequent game, that gentlemanly brother will remind you what you are here for. Whether through offering you his jacket or remarking in some form on your beauty, it is this – this that you are here for. You will accept your fate as he holds longer onto your waist after you somehow sink cup after cup. You think you’re winning? No, you are just assisting that good brother in his quest. And as you gaze up at the ceiling of that same brother’s room, at the walls of memorabilia of the Patriots or some other truly Great Institution of our society, you will not enjoy your time there; rather, you will use it as time to think about what you have done. Think deeply and remember this sentiment I impart unto you for the rest of your time at Dartmouth: it is unnatural for a woman to play pong for the sake of pong. So even after your four years here are over, let pong be a reminder that while you might possess the degree, Dartmouth as it was intended will never be wholly yours.